Welcome to the long awaited final part of Apothne and MrHyde’s thoughts on the Navy Battleship line. As usual, MrHyde’s commentary will be in italics. The RNI gets a 5% bonus to cruise and torpedo explosion radius which is nice, but needs to be closer to 7.5% or even 10% to really be meaningful when compared to current large missile stats. On medium missile boats like the Nighthawk and Drake Navy, 5% is sufficient, but with torps/cruises, not so much. Furthermore, it gets a 10% bonus per level to cruise missile and torp velocity, but this bonus really isn’t all that useful. Torpedos are not commonly used in fleet PvP on battleships, and even in solo PvP, cruise is often favoured due to better inherent application and much less oppressive fitting requirements. The velocity bonus with cruise missiles is also largely useless apart from in fringe cases as cruise missiles can already hit out as far as you lock. All it achieves is helping a little against smartbombing firewalls and time-to-target application of notifying opposing logistics you’re all shooting a specific target several seconds before they get hit. Yes, the bonuses are consistent with the Caracal Navy and the Drake Navy, but both of those are some of the least used and objectively least powerful ships in the game, so we can’t expect much of that format of bonuses further up the hull line. As a potential change, something cool may be a greater application bonus, along with a flat damage bonus (or RoF) to make the Navy line real face-melting powerhouses of missile DPS, contrasting the uber-tanky sniper hybrid platforms on the opposite end of the Caldari spectrum. The Navy Raven as a solo boat ends up in most cases being eclipsed by the Barghest. To make use of its bonuses, you need to be running either eight cruise or torp launchers, both of which use quite a lot of fitting when using T2 (I generally go for faction launchers to be able to fit a decent tank). 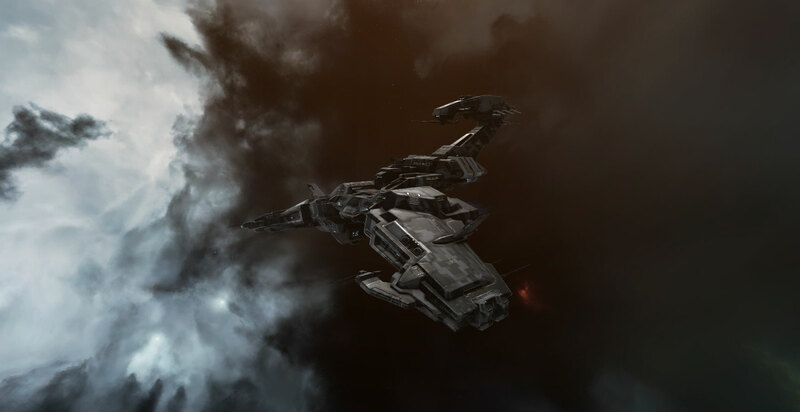 Although the Navy Raven, as with the Navy Drake and Navy Caracal, is a bit faster than its vanilla iteration, it still pales in comparison to the Barghest, which is 31m/s faster in base speed and aligns almost two seconds faster. Using all eight highs for launchers also means no utility slot, a tough sell when having neuts is so important on BS these days. The application on non-BS/BC targets with torps and cruises is better than the Barghest’s, but the latter’s flat damage bonus means that it can just as effectively use RHMLs as it can torps or cruises. The bottom line is that the Navy Raven isn’t well suited for solo PvP, and seems to be better suited to mission runners who are skilled into missiles and want to leverage the range of cruises for easy clearing. Considering the RHML vanilla Raven is such a fun and cost effective boat to fly, I don’t really recommend the Navy ‘upgrade’ for solo BS pilots. Eight high slots with eight launchers (changing from seven highs, six launchers and four turrets on the vanilla Raven) gives eight effective turrets of DPS with no utility highs thanks to the lack of a raw damage bonus (though the application bonus helps a little). This is another killer for fleet combat due to the high desirability for utility highs in battleship fleet PvP, especially in 0.0. Seven mids and five lows is fairly versatile, but does mean its potential shield tank is far less impressive than its eight-mid brother the NScorp (compounded with the resistance bonus), and Rattlesnake even with seven mids gets that resistance bonus. In order to fit these extra turrets you get 30 more base tf of CPU and 1000 MW more powergrid. The RNI loses 40m3 cargo bay down to 625m3, but gains 25m3 of drone bay up to 100m3, and 25mbit of bandwidth up to 75mbit. 13m/s base speed boost and 0.3s reduced align time. tl;dr, she’s still a fat old bird. As expected a glutton of extra buffer takes us (with all V skills) from 35k EHP up to 51k EHP. Sensor strength goes up over 20% from 26.4 to 33.6 (again at all Vs). Lock range stays the same but there is a small scan res boost. Base gain of 500 cap which gives slightly increased regen. Broadly speaking there isn’t that much of an upgrade, and as MrHyde has mentioned the main problem is that when fitting all eight launchers on it is a struggle to fit anything else. Any good fits are going to require a multitude of faction mods on an already expensive hull, even for a Navy Battleship. A vanilla Raven costs 200m, the RNI is 530m, and the two comparable pirate battleships in the Rattlesnake and Barghest are 430m and 675m respectively. As a fleet boat, the Rattlesnake blows it out of the water. Even before looking at the price, it does a crapton more DPS with way more tank thanks to the hull bonus. Rattlesnakes are exceptionally powerful, possibly tied with the Machariel for the most used battleship in modern fleet combat. Further in solo, the Rattlesnake is far stronger in every aspect, and if that wasn’t enough if attempting a fit that utilises the extra range of the RNI without relying on drones, you have the Barghest to further stomp on any hopes for RNI relevancy. Even the vanilla Raven is arguably better than the Navy version in some cases, as its hull bonus applies to RHMLs and has that utility high. Despite being the best tournament ship in EVE Online and the sexiest hull in the game, the NScorp is actually a touch lackluster. Not anywhere as useless as the RNI, it is still overshadowed by the Rattlesnake, which it essentially mimics only with an extra mid and non-badass drones, and for all that you pay an extra 110m more than the Rattler at 540m. The vanilla Scorp is an ECM machine, so there’s not much worth to comparing the two, but we’ll run down the stats regardless. For hull bonuses, we have a 4% shield resist bonus and a 5% RoF bonus to heavy, cruise and torp launchers. The two pirate missile boats get flat damage bonuses to all missiles, which provides more options and even in the cases where it may provide less overall DPS, a flat damage bonus is much better when you’re using RHMLs as you get more bang for your clip of ammunition before that painfully long reload time. No application bonus means that you need to sacrifice at least that extra mid you gained if you actually want to hit anything, but with 11000 MW of PG and 780tf of CPU your low slots are nine times out of ten going to be DCU, 3x BCU and a co-proc if you want to be able to both do damage and have a reasonable shield tank. 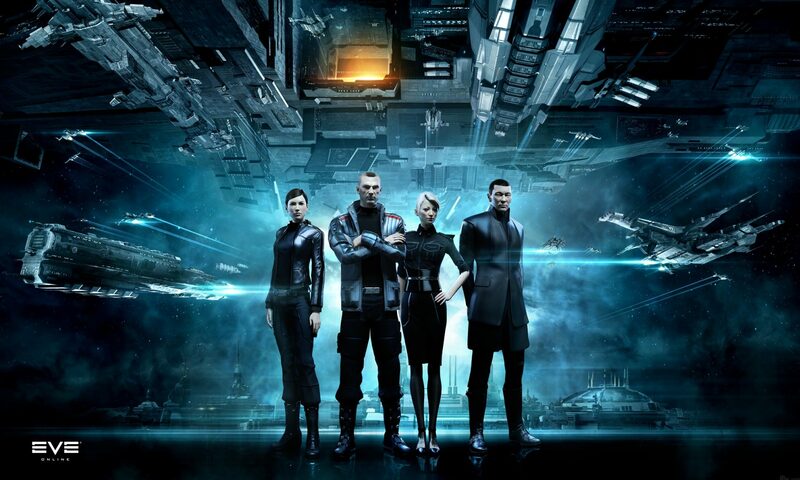 75m3 bay and 75mbit bandwidth is a bit meh for a battleship – the other three races far outstrip Caldari in this regard (though lore-wise at least that makes sense). 129m/s and 12.1s align time makes it even fatter than the RNI (though still not as fat as yo momma). The lock range is actually pretty good at 112.5km but compensates with an atrocious scan resolution of 93.8. To be honest, after everything I said about the RNI and the pirate battleships, all this is just dancing around MrHyde’s comment as there’s not much left to say about the SNI. The summary is that the Caldari Navy Battleship line has the potential to be absolutely badass, but is completely suppressed by the Rattlesnake, a lack of fitting and some near-useless hull bonuses. Now that we’ve rounded off our look at the current Navy Battleships, join Mr Hyde and myself next time to discuss what we’d like to see in our fantasies of a rounded-off Navy Battleship lineup in Navy Abaddons, Rokhs, Maelstroms and Hyperions.